Jamaican Canadian reggae singer, Naomi Cowan hosted a Single Release Party & Fundraiser in Toronto last month where she helped raise funds for Hurricane relief victims in partnership with the Sandals Foundation. Organized by The Blue Hummingbird group, the event was held in the heart of Downtown Toronto at The Pint Public House. Naomi partnered with The Sandals Foundation as a way to bring attention to the current and continued work being done in the Caribbean to benefit the islands devastated by both Hurricanes Irma and Maria. In attendance was a mix of Torontonians, Jamaicans and high-profile influencers in the music and TV industries, including: Steve Wilson, manager of infamous reggae artist Sean Paul; City TV producer Kate Moore; CBC & Apple Music Media producer Alex Narvaez, Actors Harry Shum Jr. and Isaiah Mufasa from the American supernatural drama television series ‘ShadowHunters’; Aisha Porter-Christie, writer on ShadowHunters, Orphan Black and CBC’s Frankie Drake; and Mark Josephs and his mother Glenor Josephs, President and Founders of Kisko. 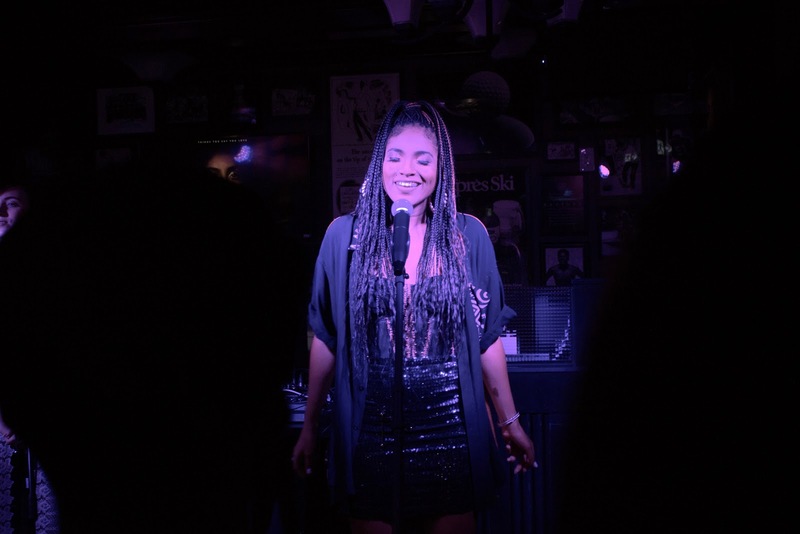 Naomi gave the audience a sneak peek of her upcoming music, along with her brand new single “Things You Say You Love”, a song that is tied to Naomi’s family legacy in reggae music in more ways than one. The song was co-written 50 years ago by her father, the legendary Tommy Cowan. Toronto is also significant because like her daughter, Naomi’s mother Carlene Davis started her reggae music career in the city. The single featuring Mark Pelli, of the pop-reggae band ‘Magic!’ has received positive reviews from listeners and leading members of the music industry for it’s production value and Naomi’s vocal performance. Guests shared their experience on social media using #NaomiSings where those who missed out were able to see videos and pictures via Instagram Stories. The Sandals Foundation team maintained a strong presence at the event, where attendees had the opportunity to visit their information booth to learn more about how they can become active and contribute to the hurricane relief efforts. Projects Coordinator of the Sandals Foundation, Karen Zacca added that: 'One hundred percent of any donation received during the event will go towards investing in recovery and rebuilding efforts being made by the Sandals Foundation. It is our pleasure to work along with Naomi and Team Canada, we salute you for all your efforts to make a positive impact in the region we call home." In continued support of the hurricane relief efforts, the ‘Tmrw.Tday Culture Fest’, a Jamaican music, art & wellness festival taking place in Negril from May 1st - 6th 2018, has joined Naomi in committing to donate 10% of ticket sales purchased through Naomi’s event to the foundation’s relief fund.